I have to thank my husband for this one. He did all the research online, and planned our trip to Sawgrass Recreation Park. As soon as we pulled into the parking lot, I could tell this was definitely a popular tourist destination, and as soon as we starting looking around I understood why. They have a lots of free parking, which was a great way to start our visit. As soon as we got out of the car, we wandered over to the main shop where we were able to buy tickets for an airboat ride. They even gave us each a pair of new ear-plugs which was nice because it's something I hadn't planned for. There were a good number of people waiting outside, so we were very pleasantly surprised that our wait was only about 25 minutes for our airboat ride. Everything was very organized and efficient. We each had a wrist band with a number on it, and we eagerly awaited our boat number to be called over the loud speaker. 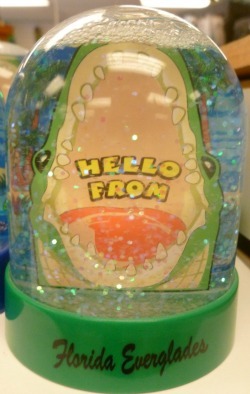 Soon enough, they called our number and we were on the airboat. Our guide told us all about alligators and the eco-system of the Florida everglades. During our airboat ride, we saw three different alligators close up as we cruised through their habitat. Everyone in my family really enjoyed the ride. From a mom's perspective, I thought it was the perfect combination of fun and educational. My sons are 5 & 7 and they both had a great time and I would definitely recommend it to my friends traveling through this part of Florida! 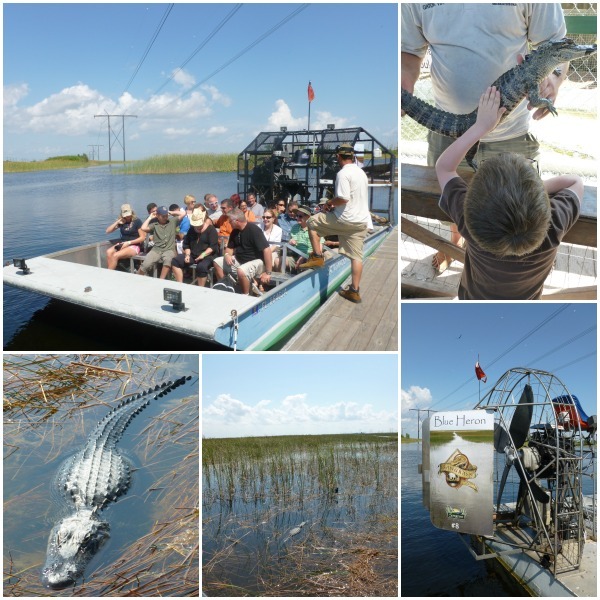 Have you ever been on an airboat ride? What was your experience like? Click here to learn more about the Sawgrass Recration Park. All opinions are my own. Not a sponsored post.